Home	> 18. AHAVAS DAVID (OLAS CHODESH HAREVI’I) FIRST EDITION, PRAGUE 1800. 18. 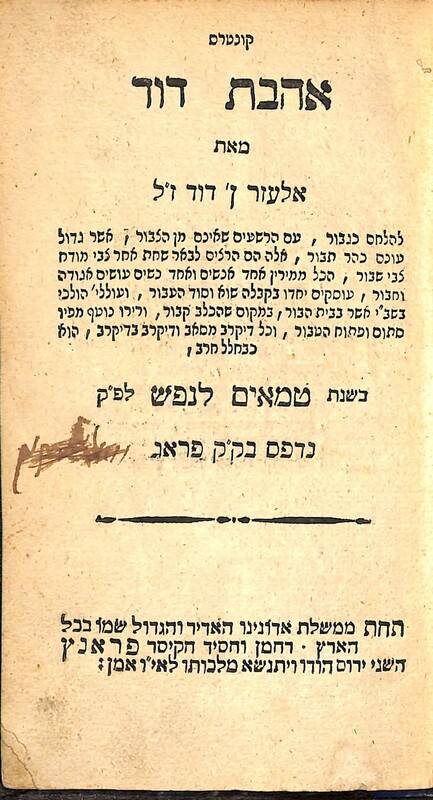 AHAVAS DAVID (OLAS CHODESH HAREVI’I) FIRST EDITION, PRAGUE 1800. Lengthy sermon delivered in Prague on the first day of Selichos 1799. 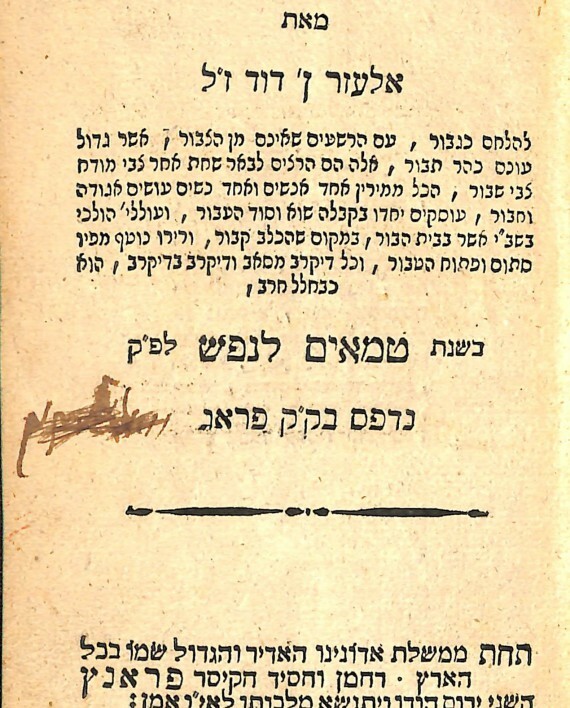 On the title page there appears the signature of R. Binyamin Wolf Lowe, author the Sha’arei Torah and Rav of Verbau. Vinograd Prague 1044. 8, 32 pages, 19 cm. Fine condition, some damage to corners not affecting text. Modern binding, reinforced spine.